Steve McClaren has insisted he would have kept QPR in the Championship – and suggested a lack of patience on the club’s part led to his sacking. McClaren, who took over at Loftus Road last summer, was dismissed this week after a run on 11 defeats in 14 league matches. In a statement issued via the League Managers’ Association, the former England boss said “results and patience weren’t forthcoming” during his final weeks at the helm. The statement read: “It’s been a privilege and honour to have managed QPR, a club with such great history and tradition in English football. “I am very disappointed to be leaving at this stage of the season after everybody has worked so hard to achieve the club’s target of staying in the Championship. “After a bad start, our performances midway through the season saw us challenging for a play-off place. Unfortunately, since then, results have proved inconsistent but with eight games to go I felt very confident that staying in the league was achievable. “We worked hard to build an environment and culture to develop young players for the long-term stability of the club. “However, we are in a results-based business and unfortunately both results and patience weren’t forthcoming. “My thanks to the owner and board for giving me the opportunity to manage QPR and to the staff and players, who have been a pleasure to work with. Tim Sherwood is the club’s first-choice to replace McClaren. 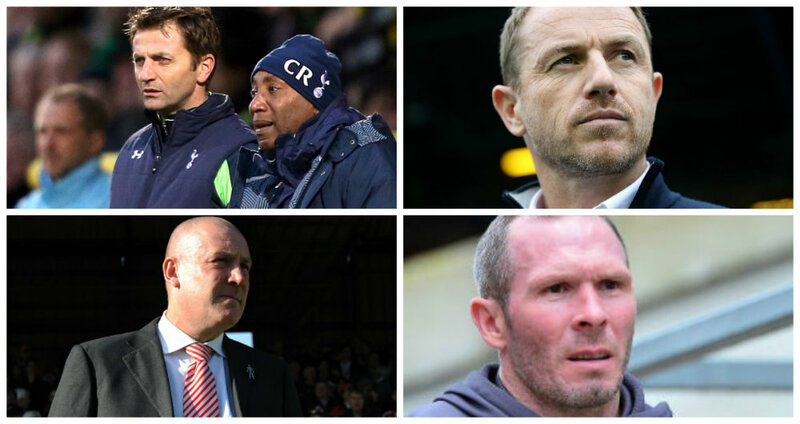 Gary Rowett, Mark Warburton and Michael Appleton are also currently on the radar. Charlton boss Bowyer linked with QPR job - but is there anything in it?